Fancy dress fun and games. A funding event in aid of the Old Age Pensioners Fund, possibly taken in Kingsway Hall or better known as the Drill Hal, Forest Town. 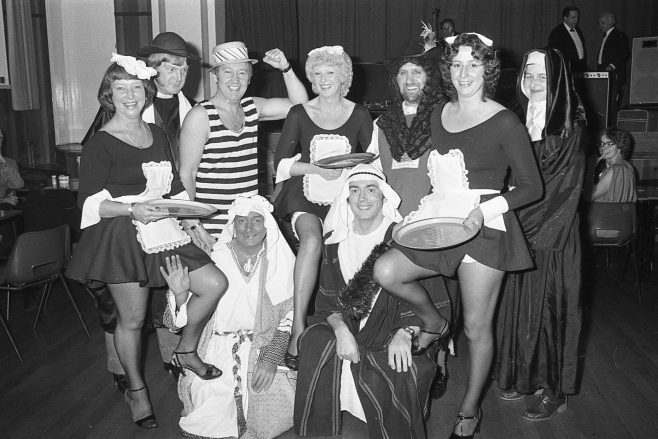 The poeple in fancy dress are a bit of a mystery, who are they, can anyone put names to faces? Diving into a Tank of Water. Peter Pan at Harlow Wood!